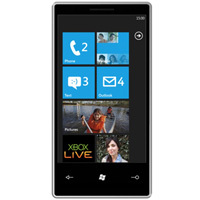 With the recent announcement of Windows Phone 7 Launch Game Line-Up it’s clear Microsoft wants WP7 to contend with iPhone as a serious gaming platform. I don’t think they have a chance. It’s all about looks and performance. The iPhone will be king of the graphics hill for a long time. On the development hill, I’m excited about the Windows Phone developer’s tools because it brings the familiarity of Xbox Live game development to a mobile platform. Trust me, jumping from C# to Java for the Android SDK is a challenge, and breaking in to iPhone development in Objective-C is even harder. The tools available for Xbox Live development should give WP7 an instant advantage over the anemic game selection on Android. But I doubt Microsoft will be able to compete effectively with iPhone as a gaming platform. I know it’s a sore subject, but I think game development on iPhone is so competitive partially because of Apple’s quality control. You wouldn’t see half of the junk that floods the Android Market if there was some sort of quality control beyond user ratings. This entry was posted in Posts and tagged android, games, iphone, windows mobile, wp7. Bookmark the permalink.